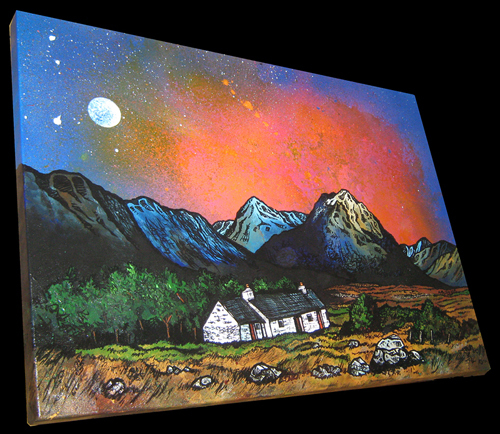 Black Rock Cottage and The Buachaille Early Spring, Glen Coe, Scottish Western Highlands. 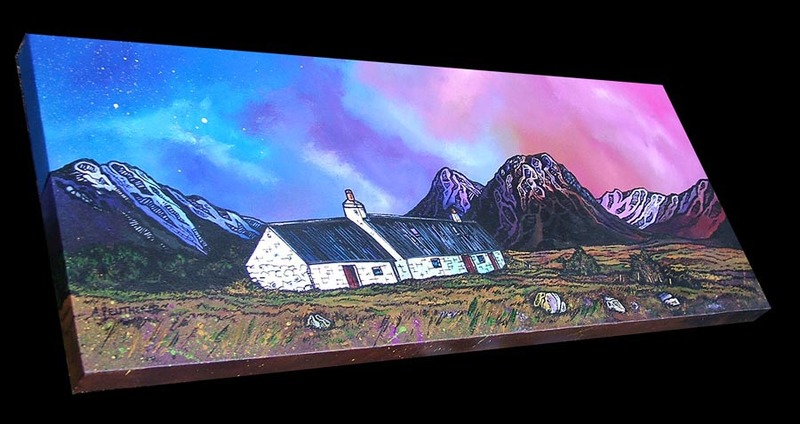 Black Rock Cottage and The Buachaille, Glencoe, Scottish Western Highlands. Pap of Glen coe Sunrise over Loch Leven,Ballachulish, Argyll, Scotland. 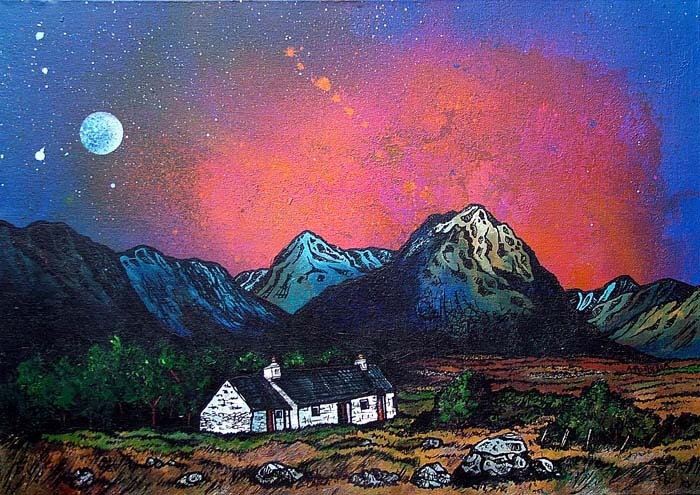 Buachaille Red Sunset, Rannoch Mor, GlenCoe and Glen Etive, Scotland. Glen Etive and Glen Coe Summer, Scottish Highlands. Glen Etive (Scottish Gaelic: Gleann Eite) is a glen in the Highlands of Scotland. The River Etive rises on the peaks surrounding Rannoch Moor, with several tributary streams coming together at the Kings House Hotel, an old inn on the A82 road at the head of Glen Coe. From the Kings House, the Etive flows for about 18 km, reaching the sea at the sea loch of Loch Etive. Towards The Buachaille, Rannoch Mor, Glencoe and Glen Etive, Scotland. Pap of GlenCoe Winter Sunset over Loch Leven, Argyll, Scotland. The Pass of GlenCoe, Argyll, Scotland. Garbh Bheinn across the Loch Linnhe, Argylle, Scottish Highlands. 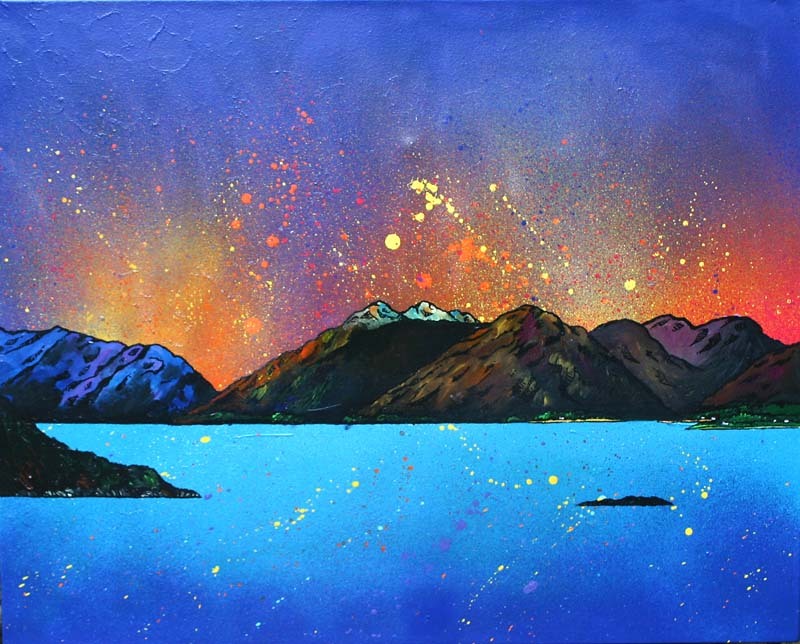 Garbh Bheinn Sunset across Loch Linnhe, Argyll, Scottish Highlands. The Aonach Eagach Ridge, Glen Coe, Scotland. The Pap of Glen Coe and Bidean nam Bian, Argylle, Scotland. Loch Etive, Argylle and Bute, Scotland. 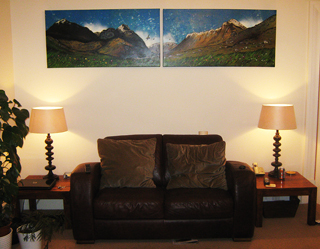 Glen Coe commissioned double canvas, Scottish Western Highlands. 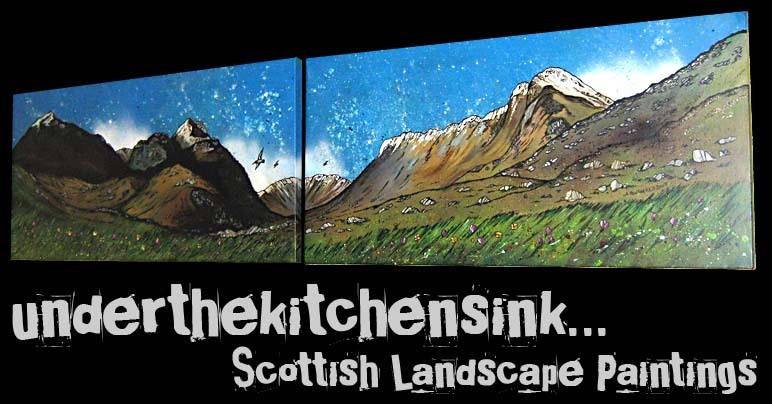 Mixed media on double canvases at 100 x 50 x 4 cm each. The Three Sisters Of Glencoe, Western Highlands (Argyll), Scotland. Buachaille Etive Mor.3, GlenCoe, Scottish Highlands. 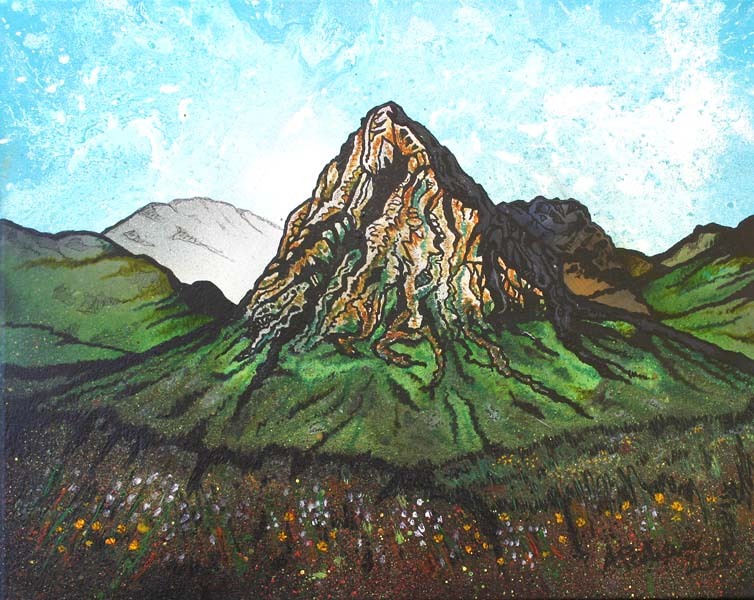 BUACHAILLE ETIVE MOR (Scottish Gaelic: Buachaille Eite Mòr, meaning "the great herdsman of Etive"), also known as The Buachaille or The Beuckle. 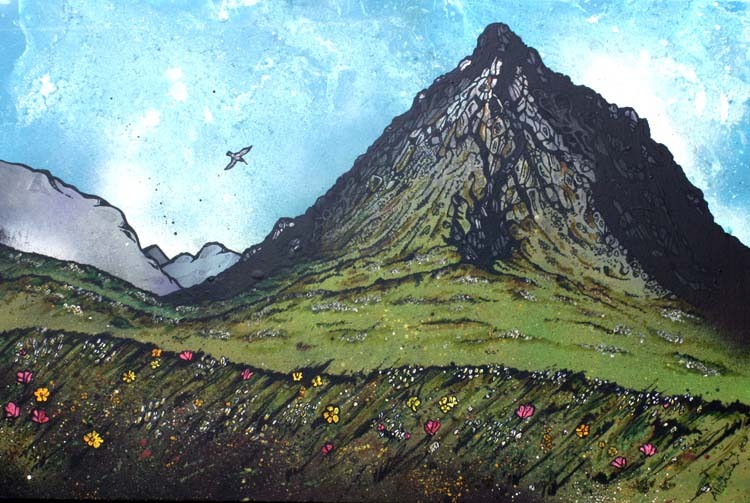 The mountain is situated at the head of Glen Etive in The Scottish Highlands. 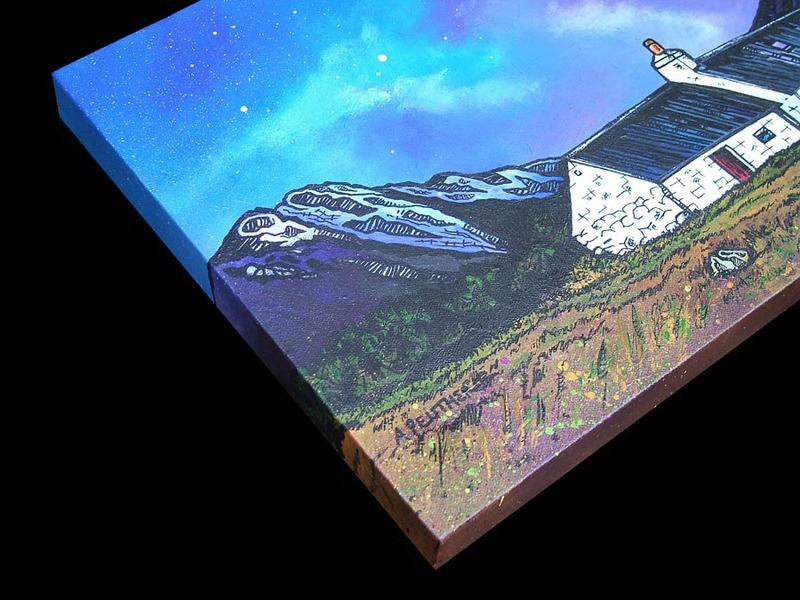 100 x 30 x 1.5cm/ Mixed media on canvas. Glencoe from loch Leven, Scottish Highlands. Buachaille Etive Mor Autumn Sunset, Glen Etive, Scottish Highlands. 60 x 20 x 1.5cm / Mixed media painting on canvas. Buachaille Etive Mor .1, Glen Etive, GlenCoe, Scottish Highlands. Buachaille Etive Mor Summer, Scottish Highlands. 51 x 40.5 x 1.5cm / Mixed media on canvas. Pap of Glencoe Winter Sunset, Scottish Highlands. THE PAP OF GLENCOE (Scottish Gaelic: Sgurr na Cìche) is a STUNNING mountain on the north end of GlenCoe,Scottish Highlands. 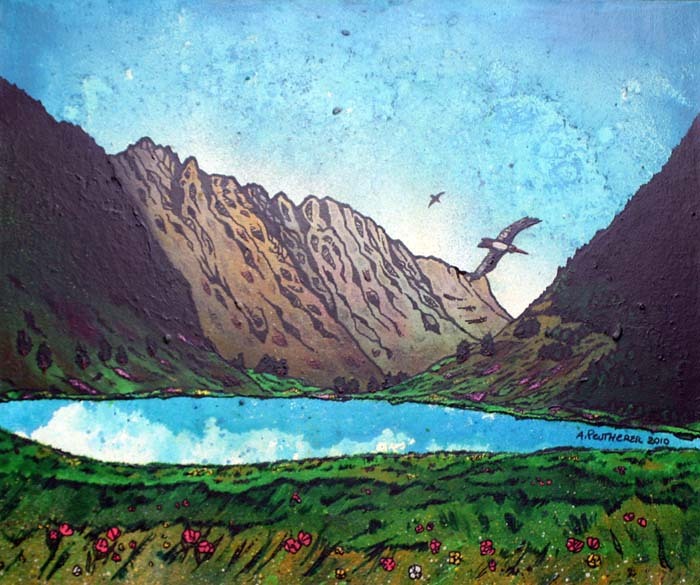 It lies at the western end of the Aonach Eagach ridge, directly above the point where the River Coe enters Loch Leven. 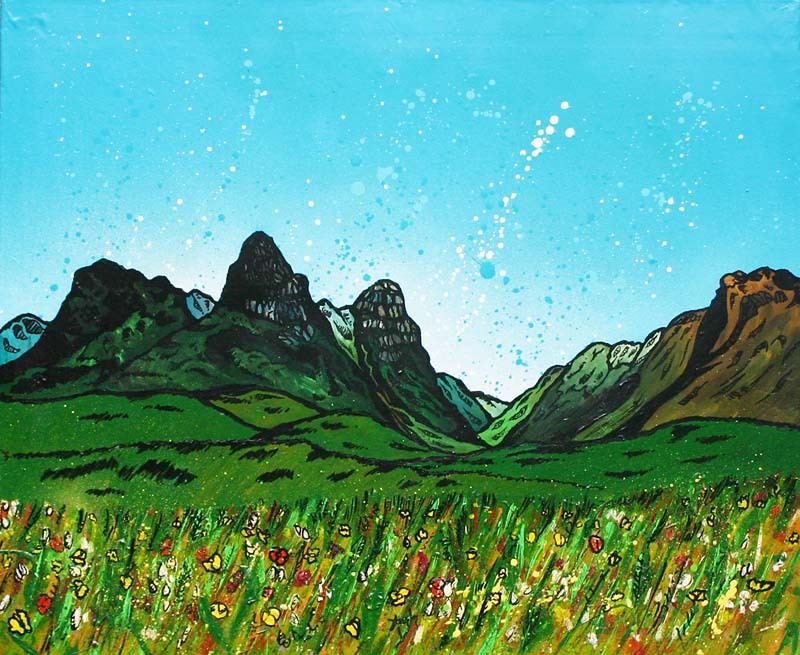 The Pap has a distinctive conical shape particularly when viewed from the west, and forms part of the "classic" view of the entrance to GlenCoe.